My friend, Janet, introduced vodka and tonic drinks to me, made with citrus flavored Vodka. They are indeed yummy! My Hubby liked them too, and started making them at home. Then we ran out of tonic! Did my Hubby panic? Did he run around the house screaming “why oh why?! ?” (oops, sorry, that was me.) Noooo! 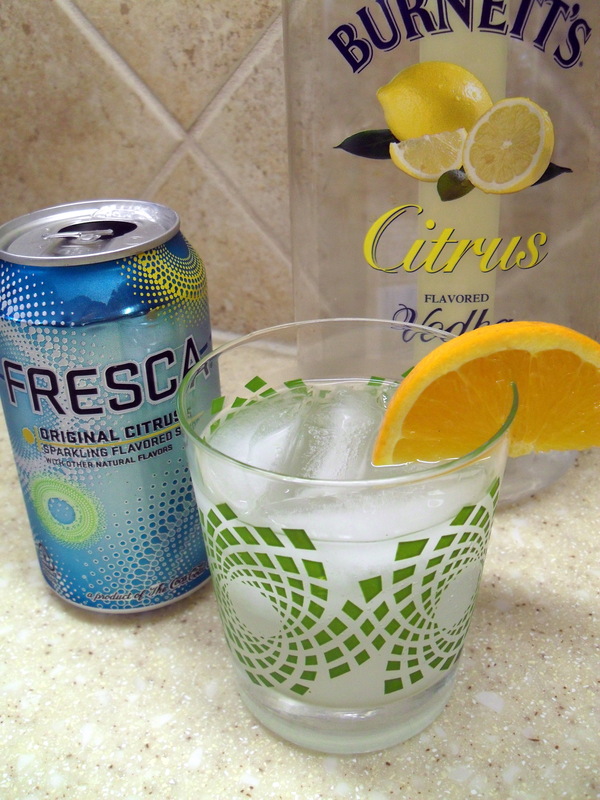 He decided to use what we had instead… Fresca. Oh my goodness!!! It’s even yummier than the tonic! Hubby upped it a notch and served it with a slice of orange. (Hubby says to squeeze the slice of orange into the drink to get the right taste. Then you may add a slice to the side of the glass to get the “look”.) Genius I tell you! I married an absolute genius! 😉 This drink is so refreshing and delicious! And Fresca has zero calories! It’s like HAPPY on a diet! Posted in YUM (recipes) and tagged alcohol, Beverages, Cooking, Drink, Food, Fresca, Home, orange, Recipe, Vodka. Bookmark the permalink.